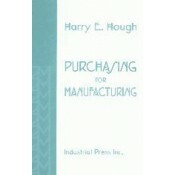 Written by the founder of the American Purchasing Society, this authoritative introduction to industrial purchasing emphasizes the unique aspects of securing specialized materials utilized in manufacturing. Includes in-depth coverage of the criteria for the selection of products, purchasing dynamics, the organization of the purchasing function, how to determine need, how to evaluate a source, obtaining and analyzing bids, and required forms. Explains how to determine what is negotiable, how flexible is the seller, commercial terms used in purchasing, what every purchasing agent needs to know about contract law, the importance of the Uniform Commercial Code, different types of warranties that can protect your business, and information on antitrust laws and patent rights. Discusses the particulars of purchasing special materials and provides information on certification, value analysis, forms used in purchasing, and the importance of accurate drawings and specifications. Introduction to Purchasing Operations. Essentials of Business Purchasing. Negotiating and Keeping it Legal. Why Good Specifications are Important and How to Get Them. Important Information about Iron, Steel, and the Industry. Types of Steel Products, Source Selection, Ordering, and Obtaining Proper Quality. Background for Non-Ferrous Metal Purchasing. Important Differences in Buying Fabricated Metal Items. Select a Casting Source with Care. Buying Resin, Plastics, and Ceramics. Purchasing and Controlling Tooling and Scrap. Source Selection Issues and Resolving Purchasing Problems. Glossary. Selected Bibliography. Appendices. Index.